Whenever Cheryl heard me talk about the "commando squad," it brought a smile to her face. It was amusing to her that she could be the leader of such a group with so little physical ability. 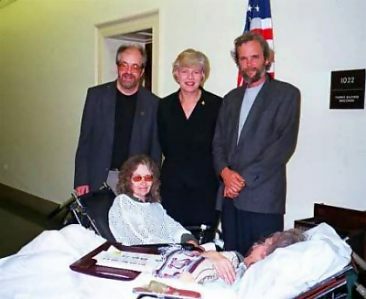 Well, Cheryl WAS the leader of our Medical Marijuana Commando Squad, formed in October, 1999 with the purpose of "raiding" the Washington DC office of Rep. Bob Barr. The raid was a success, although I was a POW for seven hours while commander Cheryl and the two other members of the squad, Gary Storck and Jacki Rickert, regrouped to await my release. Ultimately, it was the beginning of the end for Bob Barr. 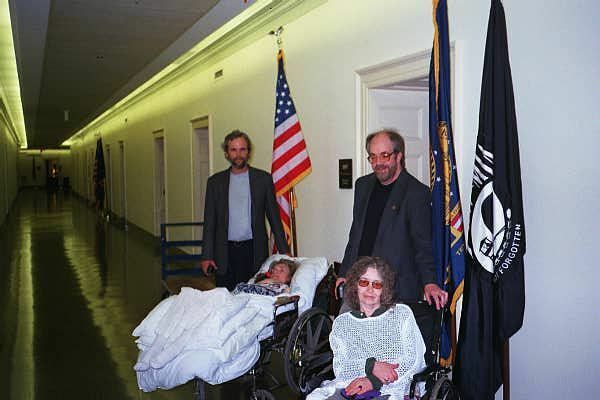 The commando squad then took it upon itself to lobby for medical marijuana legislation within the Rayburn, Longworth, and Cannon congressional office buildings in Washington DC. To do this, Cheryl undertook the trip from New Jersey while Gary and Jacki had to go through a trip from Wisconsin that produced hazards which would prevent most others from even making the trip. I dare say that the effort they displayed during those trips was more effort than any healthy medical marijuana advocate seemed to give. We didn't simply arrive in Washington DC. We all had to fight to get there. I hope you all consider that when you're deciding how much you can or can't do to make Sept. 22 and 23 a turning point in the war against medical marijuana patients. The squad with Congresswoman Tammy Baldwin (D-WI) April 2001 outside her office in Longworth H.O.B. I remember our April 2001 mission. We all spent three days at the NORML national convention refining our plan for the three days of lobbying that would follow. Even the modest physical demands of attending the convention took a toll, on Cheryl and Jacki especially. When everybody was gathered for the final part of the convention, I looked around at 350 plus attendees and asked myself who were the least likely people to go on any further. Of course it was Cheryl, Jacki, and Gary. As everybody else prepared to fly home to start their next week of work, the four of us regrouped at a cheaper motel. We had work to do. I'm glad Cheryl never asked me why nobody else took the extra time while they were in DC to do some lobbying on the Hill. I wouldn't have known what to say. A few minutes later, the squad paused outside Bob Barr's office for a reunion photo. 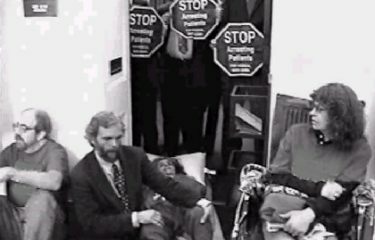 Barr had Capitol Police detain the fearsome foursome for 20 minutes as they exited the Longworth Building immediately afterward. Then, in 2002, Cheryl made a tv commercial, and Barr lost an election. So, what's left of the commando squad needs your help. It will likely be our last mission in Washington DC. I am excited to see that so many people are willing to take part this time. It would have made Cheryl proud to know her example was not in vain. This time the halls will be filled with patients and advocates, finally outnumbering the opposition. That will not go unnoticed. We will finally put a face on the medical marijuana issue. The face of patients that have passed, and the face of patients for whom it is not too late, yet. On to September 22, and 23.